Xenox tigrinus (Tiger Bee Fly). Size: approx. 15-20 mm. Photo: 07/20/11, 11 am. 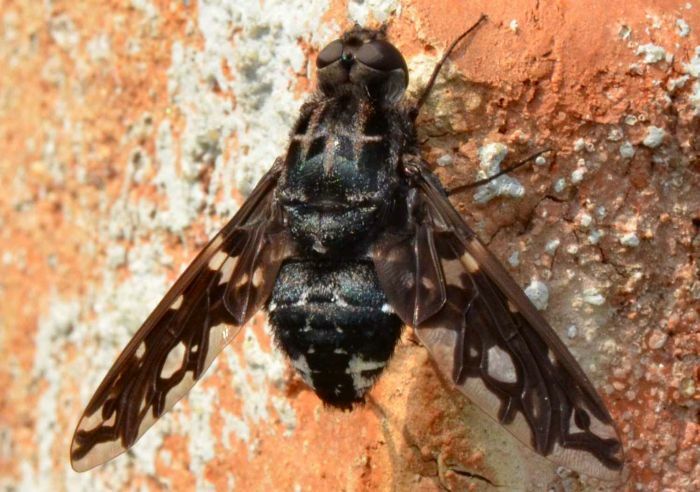 Tiger bee fly (Xenox tigrinus). As name suggest this large and striking insect belongs to the bee flies (Bombiliidae). This species is fairly common in eastern states. The larvae of X. tigrinus parasitize large carpenter bees.